Houston’s awesome Day for Night festival is less than two weeks away — it happens December 15-17 — and the schedule has now been revealed. There’s just one stage on Friday so no conflicts that day, but Saturday has you choosing between Nine Inch Nails and Tyler the Creator, as well as James Blake and Laurie Anderson. 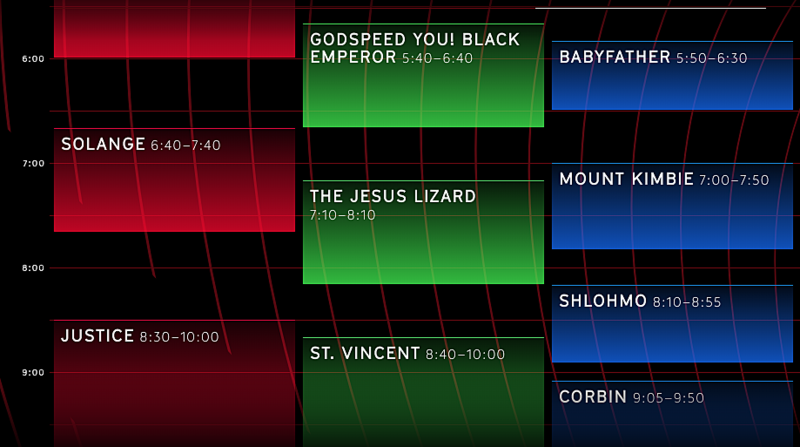 Sunday conflicts include Thom Yorke vs Nina Kraviz, St. Vincent vs Justice, Solange vs The Jesus Lizard vs Mount Kimbie (damn! ), and Priests vs Kimbra vs Jesse Lanza. Check out the full schedule for each day HERE. Tickets are still available.